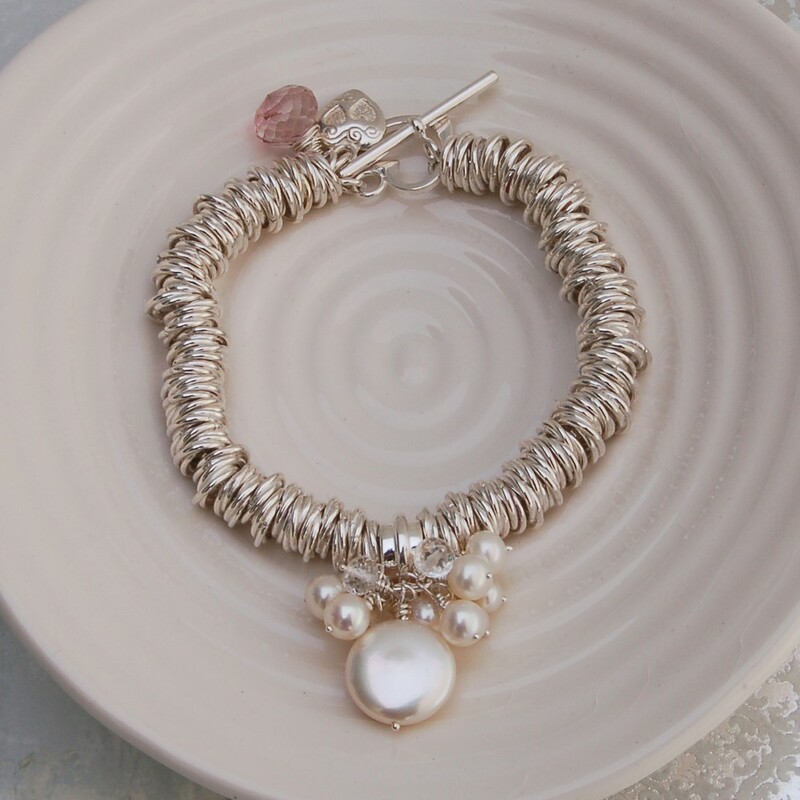 A unique and handmade freshwater Pearl, Gemstone and sterling silver rings bracelet. 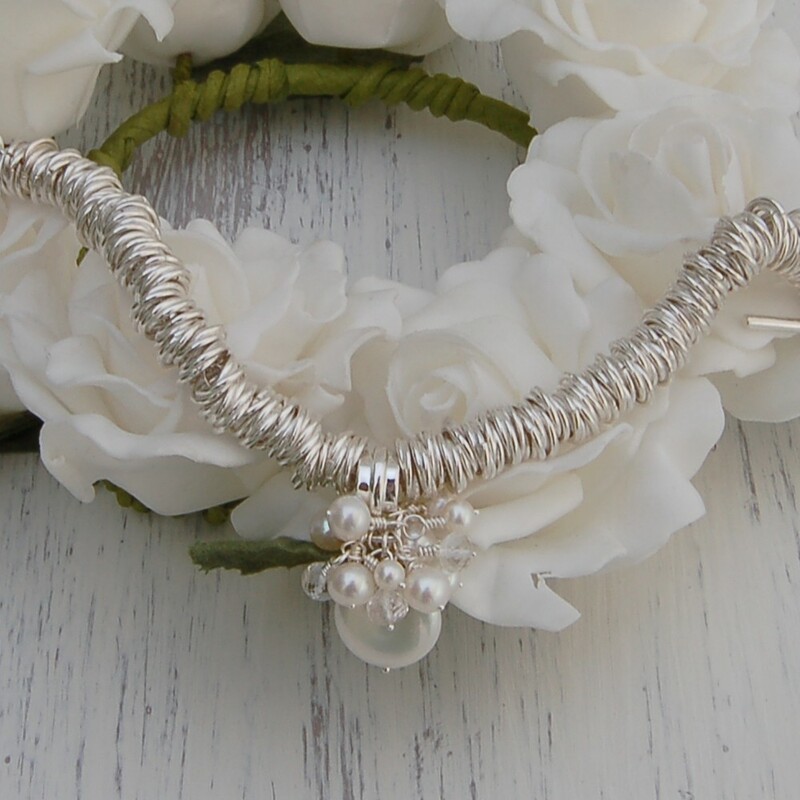 This elegant and adorable bracelet can be worn for everyday wear or make a fabulous gift for a special occasion for a special women in your life such as Mother’s day,Wedding/Bridal or an Anniversary gift. 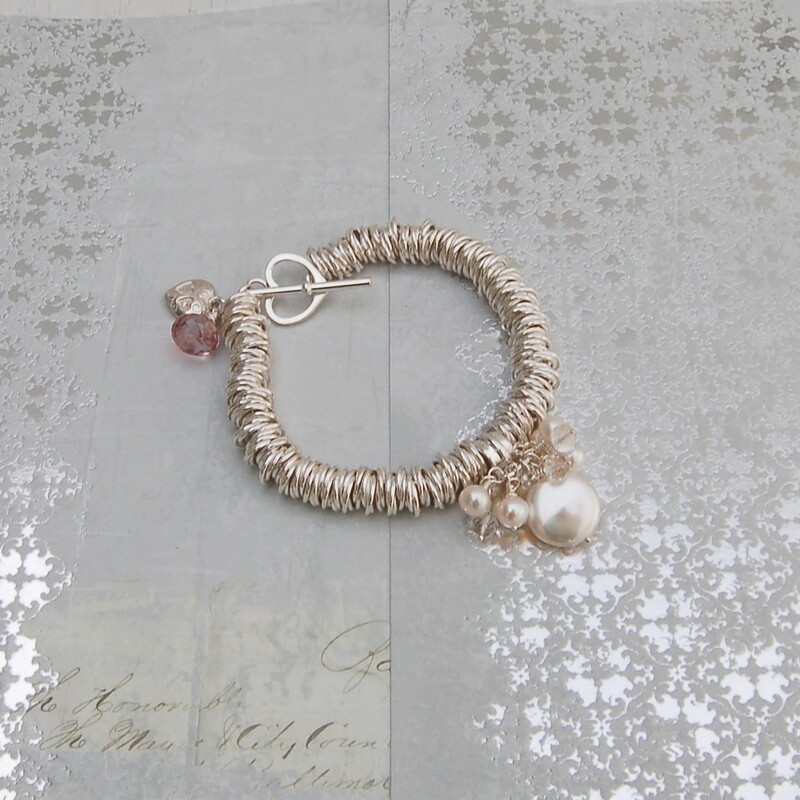 This bracelet is sparkling from top to bottom which makes it so alluring and desirable that you won’t want to take it off once you have worn it. It has been designed so that you can wear it with jeans and a T-shirt to business wear or even the more obvious a wedding so don’t be like the rest be an IndiviJewel. 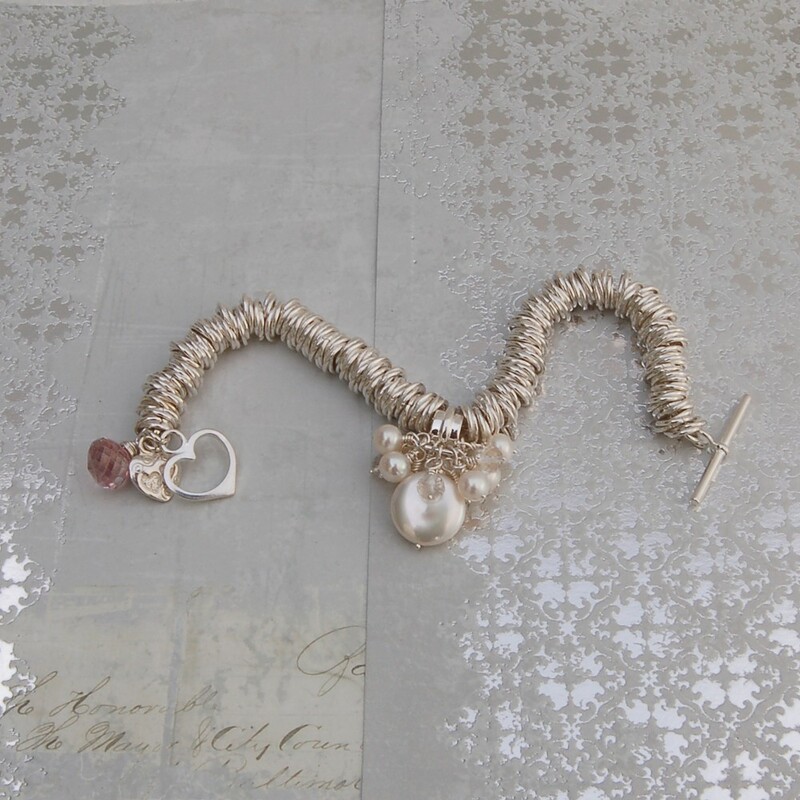 A huge 15mm freshwater coin pearl hangs from a sterling silver charm holder, A cluster of mixed sized AA+ freshwater round pearls and 3-4mm AAA crystal quartz rondelles nestle around the coin pearl making it look so feminine. The sterling silver rings are made from two jump rings soldered together to give a wonderful sparkle. 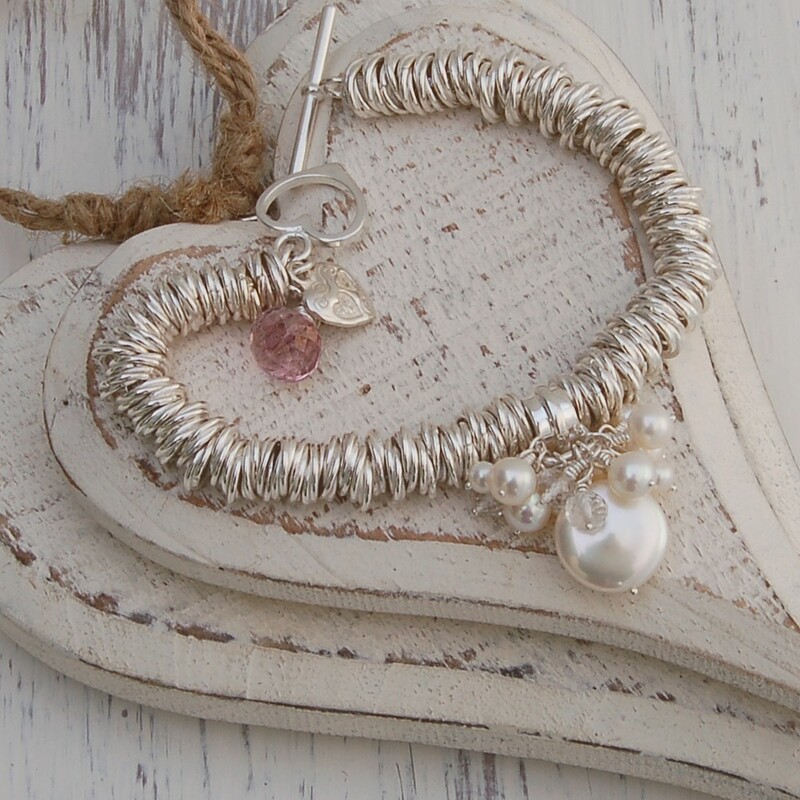 To finish this piece we have a nice and thick heart toggle accompanied by a striking large AAA grapefruit quartz which just gives the bracelet a striking contrast. Next to the gemstone we have a unique intricate heart charm to make this bracelet a magical piece of jewellery. The complete overall look of this bracelet is down to the quality components that have been used and design which is sure to having people looking with it being over the top to which you can wear it with anything. 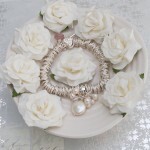 IndiviJewels designs and makes all its own pieces so if you would like something a little different then please just contact us and we will see what we can do for you. 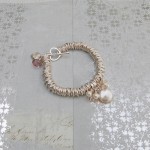 This bracelet is made from sterling silver, AA+ freshwater pearls and AAA gemstones. 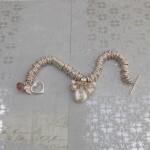 The measurements for this bracelet are as follows – The coin pearl is 15mm in diameter. The round freshwater pearls are mixed in two sizes, 2-3mm to 5mm. The crystal quartz are 3-3.5mm, The grapefruit quartz is approx 10mm at its widest point. The sterling silver heart charm is approx 12mm long from the top of the loop and 10mm at its widest point. The sterling silver rings are approx 7-8mm wide and the heart toggle is approx 14mm.